Happy Tuesday! I'm happy because today is like my "Thursday" and tomorrow my "Friday." Yes my friends I have a short work week. Otherwise known as the.best.thing.ever! In just two days I'll be on a plane to Dallas for BlissDom!!! CANNOT WAIT! Today it is all about Colorado. Circa 2006. 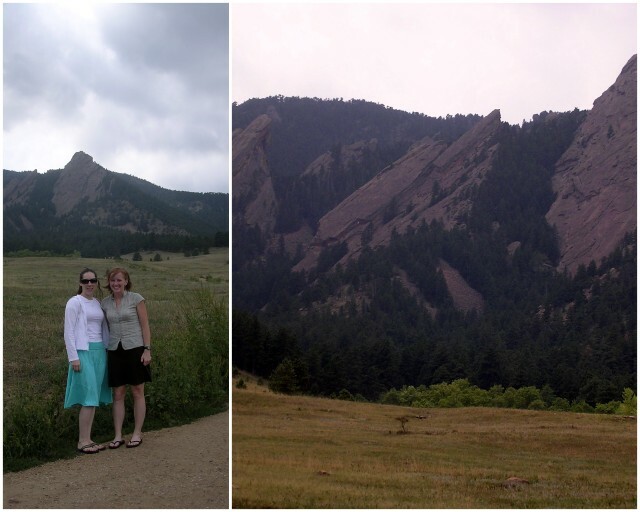 I was lucky enough to visit my former roommate/current friend, Michelle, in Boulder in the summer of 2006. After living together for several years she abandoned me for grad school. . . all the way in Colorado. Don't worry I didn't hold it against her since she often to host me for a wonderful vacation. I don't have to be asked twice! Boulder is such a fun college town. It was so great having Michelle as a "tour guide" since she lived there and new all the hot spots!! 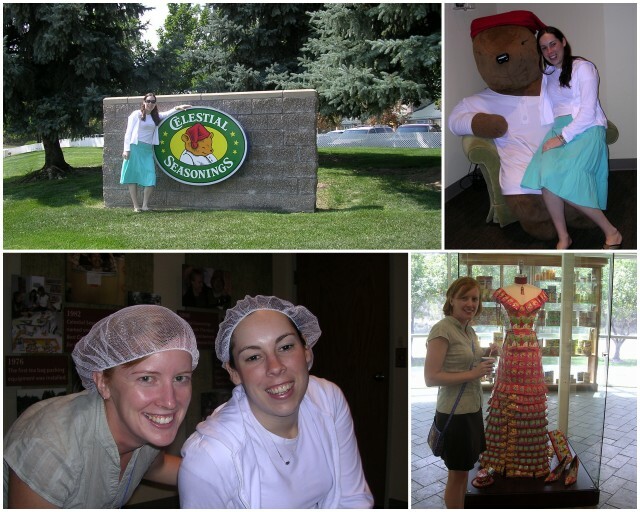 Did you know that Celestial Seasonings factory/headquarters is located in Boulder? I must admit that I was pretty excited when I discovered this. Of course we had to visit. On one of the days I was in Colorado we went for a long drive. Like seriously we drove all day. It was fun though because I got to see a lot of beautiful scenery. 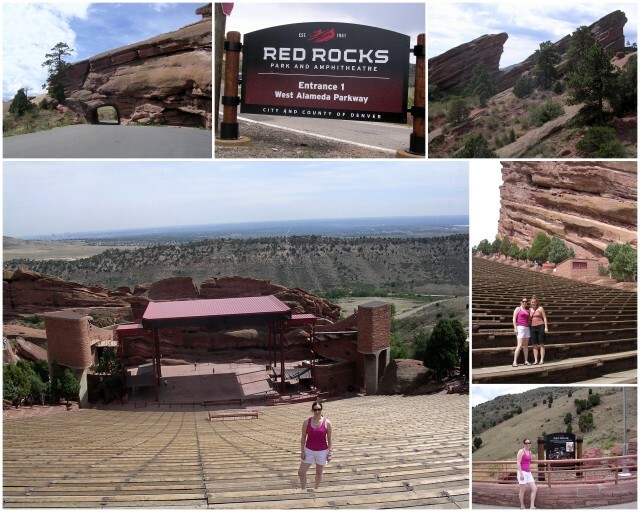 We stopped at Red Rocks to check it out. Unfortunately there was no good concerts to see while I was there so we just had to settle for seeing it empty. I think it would be a very cool place to see/hear a concert! 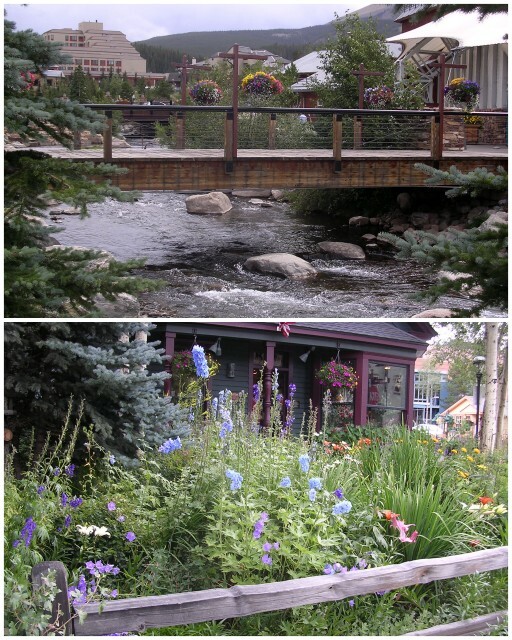 Another stop on our all day drive was Breckenridge. CUTEST.TOWN.EVER. We walked around and had lunch here. I also remember an amazing scrapbooking store. Back then I was really into scrapbooking (equivalent to blogging today). I got some really cute stuff there! 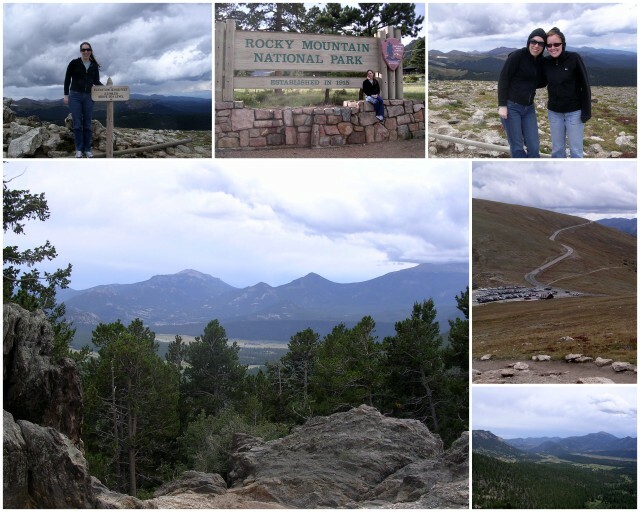 On another day we went to Rocky Mountain National Park. It was beautiful and high. Very, very high. Let's just say I'm glad I wasn't the one doing the driving. I don't know if you can read the sign in the top left photo but I'm was standing at over 12,000 feet which is 2.3 miles above sea level! 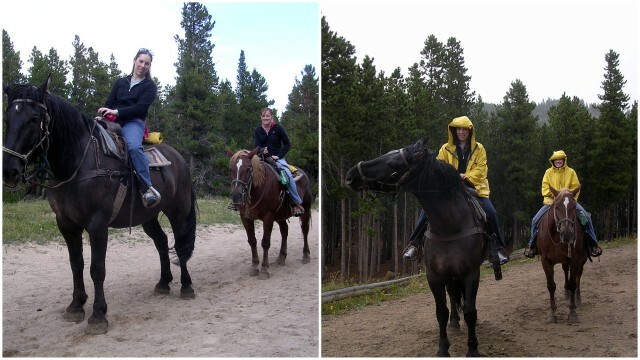 While in the park we went horseback riding. This was probably the thing I was most looking forward during my visit to Colorado. It was so fun but literally out of nowhere the sky opened up and it started pouring! Thankfully they had provided us w/ rain jackets!! 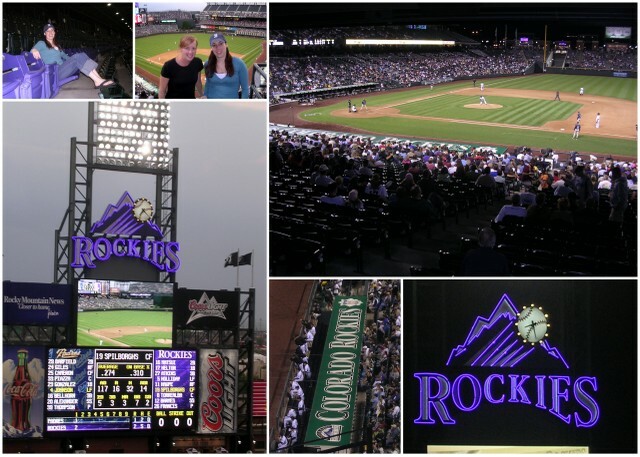 What of the nights I was there we went to Coors Field to see a Colorado Rockies game. It was my first time going to a new ballpark and it was SO nice! We got cheap tickets and had seats that were pretty good. There is even a "mile-high" row painted purple (the rest of the seats are green). I had to have a photo opportunity in that row! So there you have it! That is just some of what I did while visiting Colorado. We of course did a lot of eating and drinking at some really fun restaurants. I of course don't remember the names of any of them so can't help you with recommendations! I really loved my Colorado vacation. The weather was gorgeous. The mountains are breath taking. And of course a vacation to a new city combined with visiting a close friend is the best. I would love to go back to Colorado someday. I know there is much more to see!!! I always LOVE your photos! I had no idea Celestial Seasonings was in Colorado! oh this is so pretty! 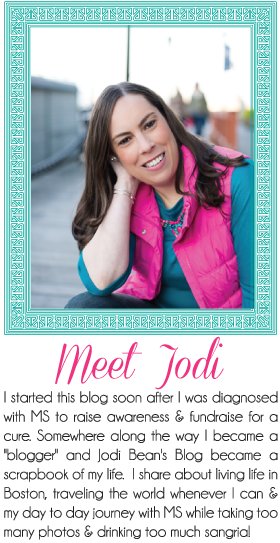 And I had no idea you were going to Blissdom!! i live in Dallas but i'm not going :(. I love coloradoand this makes me want to take a trip back! especially to see Red Rocks! Pretty!! I've always imagined Colorado being incredibly gorgeous, and your pictures are proving me right! Isn't Red Rocks just gorgeous?! I see that y'all made your way into Boulder! That's where my brother is right now and I got to visit him in January. I love Colorado! Wow! Colorado is one of those places that I never thought to go until I saw pictures like this, and I realized it looks like a dream trip. So naturally beautiful! Happy Friday (and Giveaway Winner Announced)! This Weekend I. . .